It's that time of the year again, when all the big players and related hardware manufacturers try to out do each other with product launches and roadmap announcements. Amazon has announced a new range of tablets/Kindles, Nokia a couple of new Windows Phone 8 handsets, Microsoft has finished Windows 8, announced its own tablet hardware and has Windows Phone 8 announcements yet to come. Apple meanwhile are expected to make some iPhone/iPad announcements this week that will likely create the biggest buzz of all. Back in March 2010 I was at Mix in Las Vegas to take my first look at Windows Phone 7 I wrote a couple of blogs on my first impressions of what I'd seen and what it meant in the wake of the iPhone 4 announcement. I summed up my feelings at the time by saying; if they manage to get “it’s a really good device, but not quite an iPhone” status – that would be a good result. Two years on I think we have to say “it's a decent device, but it's certainly not an iPhone” and that that isn't really good enough, as results have shown. Microsoft made some good decisions; they went their own way with the UX (we won't call it Metro anymore) for which they've earned well deserved plaudits. They provided a good developer experience – whilst a lot of Microsoft framework decisions are far from prefect, the emulator is excellent and if were a developer coming from a SL/WPF background you can be up and running really quickly. Unfortunately they also made some bad decisions; the hardware is not up to scratch - outside of the core OS apps, performance isn't good enough. Add into the mix some of low-end hardware that ships with WP7 on it and a users experience and impression can vary wildly. Over the last 2 years, I've used a WP7 everyday switching between 3 different handsets (HTC HD7, Samsung Omnia and a LG Something). I didn't really enjoy the HD7 (and it broke), I really liked the Omnia (but it broke) and I genuinely hated the LG (which I purposefully broke… I didn't). On one end of the scale the experience was positively awful and on the other, whilst is was good, it still wasn't as good as it should've been. After my Omnia broke and I gave up on the LG, I decided to switch back to my iPhone 3GS - a device which is now 3 years old. I suddenly realised that over the last 2 years, I had worked out all the websites that provided the best mobile experience of their services (Facebook, Guardian, BBC and IMDB all do a good job!) because either the app for that service didn't exist on WP7 or was a 3rd world experience behind it's Android and iOS counterpart. Unfortunately the WP7 eco-system is literally years behind that of iOS which largely set the template for smart devices and the “app” market. Some decisions also got made on Microsoft's behalf – their choice of technology in Silverlight could be seen as a misstep. Prior the WP7 announcement I predicated that they would go Silverlight, it made so much sense at the time. I was a fan of Silverlight, because I was a developer and it was a great development experience. Silverlight never really got a foothold and then HTML 5 came along, and with a little help from Microsoft itself, really put the nail in the coffin. Now that Microsoft really are pinning their HTML5 colours to the mast with Windows 8 and whilst it's not really being fully announced yet, if Windows Phone 8 doesn't follow the Windows 8 development model, I think we'd all be a little surprised at this point. 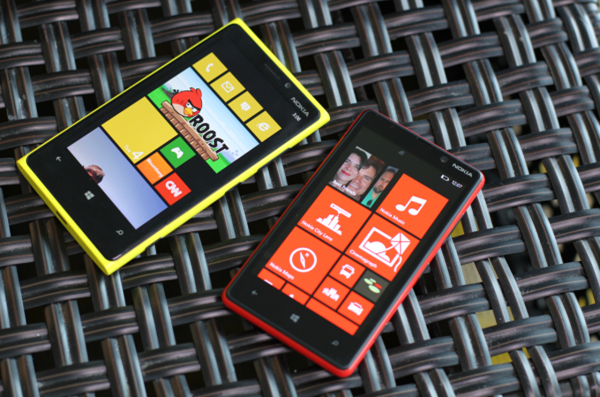 Even if switching the development mode is the “right” decision, it's not likely to be a popular decision with WP7 developers, few of whom have really seen a return on their investment in the platform to-date in any case, so might not be willing to invest again when everything changes yet again. There's also a growing sense that WP7 was really a sticking plaster and WP8 will start again… again, which could mean Windows Phone 8 is less WP7 3.0 and more W8 1.0. And with a 1.0 release comes inevitable bugs and wrinkles. At the end of the day the only way to win in the consumer market is to provide users with a great experience – that's all that matters. Experience is everything. Gimmicks, add-ons and short lived promises mean nothing in the end. Most people who live outside the tech bubble that I, and most people reading this inhabit, are more concerned about whether the music they've already bought will work on it, will they loose all their contacts and can they play angry birds or watch the BBC iPlayer on it? Almost more importantly, if the answer to any of the previous questions is yes – then they will expect a smooth and slick experience. Users don't know when they've had a great experience, but they certainly know when they've had a bad one. So if the hardware is slow and apps stutter, aren't responsive, miss features, are always behind other platforms or just plain don't exist – users will turn elsewhere. As I was 2 years ago, I remain hopeful that the platform can find it's audience. Microsoft have struggled a little in their new role as follower and really need bring some clarity to proceedings if they're to make up ground on the leaders.